Tottenham take on Liverpool in the early kick-off on Saturday, and Mauricio Pochettino could receive a huge boost as Heung-Min Son has dismissed fears of fatigue. Son has barely featured for Spurs so far this season as he has been called out on international duty over the past month to play for South Korea at the Asian Games. That followed on from his summer exploits in Russia at the World Cup, and so the 26-year-old has had no time to rest during a busy fixture schedule on the international stage. However, he has dismissed the notion of being left tired after such a hectic few months as he is already looking forward to getting back into the Tottenham line-up. 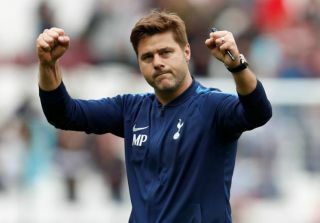 Whether or not Pochettino is willing to throw him straight back into the action remains to be seen, as in the interests of avoiding any injury setbacks, it may be wise to rest him and gradually bring him back into the fray. Nevertheless, from Son’s perspective, it doesn’t sound like he’s ready to sit out and he could be a welcome boost for Tottenham when they face Liverpool this weekend. “I think this summer has been like any other summer, except that I’ve had to travel a little more. I always tend to play a lot [in summers]. And I am not the only one playing many minutes. Fatigue is an excuse,” he is quoted as saying by ESPN. Son scored 18 goals and provided 11 assists in 53 appearances in all competitions last season, underlining his importance in the Spurs line-up. With that in mind, having been limited to just 10 minutes of football in the Premier League so far this season, he sounds like he’s itching to get back into it and time will tell if he gets his first crack with Liverpool heading south on Saturday before Spurs travel to Italy to face Inter in the Champions League next week. As per the Evening Standard, Son is said to have returned to north London on Wednesday, and although it’s doubtful he will start against the Reds, Pochettino could have hope of bringing him on if needed.